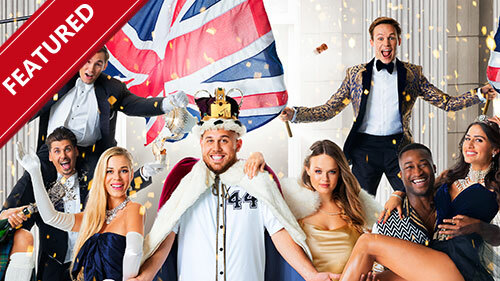 For one long hot summer, MTV invited a group of royals and aristocrats to live together in the English countryside and filmed their every move in an attempt to find out what it is really like to be young and royal. How will one cope when a Baroness, a Lady and a couple of absolute Counts leave their help behind and attend some of the most high-profile events of the season? Archie Manners acts as Master of Ceremonies or, as he likes to refer to himself, a 'poshologist' and will guide you through the blue blood, their backgrounds and bonkers behaviour. Domestic worker-turned-chef Siphokazi Mdlankomo, who rose to fame on MasterChef SA, brings her charm and effortless cooking skills to her mobile kitchen, where she whips up tasteful dishes with her guests. This season promises fresh and tantalising menus with guests including local heroes and celebrities. For the first time ever, the series will also have male guests. The third season lands at Jorge Chavez International Airport, Lima, Peru - Peru's largest airport and a major Latin American hub. The biggest security challenge here: cocaine trafficking. And anti-narcotics police work 24/7 to bust the latest ingenious scheme: ingested capsules, drug-infused clothes, hidden compartments and much more. Watch the action firsthand through exclusive access to some of the airport's most restricted areas. In the first two seasons we uncovered the story of Leah's dramatic and often painful personal journey through Scientology, from joining at age nine to abruptly leaving in 2013. Now her determination to expose the irregularities behind Scientology will take an interesting turn: the new season sees Leah probing into the whereabouts of the wife of the Church of Scientology's leader, David Miscavige. The series will also ask why families still have to remain disconnected after they break away from the "faith" and are termed as enemies.